The history of the press of any state or nation inevitably reflects the socio cultural conditions of the era. The media is both a mirror of society as well as is influenced by it. The history of journalism in Orissa is little over a century or put more precisely, just 138 years old. Oriya journalism played an important role in molding socio-political conditions within the province and in awakening the people's consciousness. In those days the great men who initiated the development of the press had been solely inspired by the spirit of social service and missionary zeal. The first Oriya Magazine of 'Bodha Dayini' was published from Balasore in 1861. The main object of this magazine was to promote Oriya literature and to draw attention to the lapses in government policy. The first Oriya paper, 'The Utkal Deepika' made its appearance in 1866 under the editorship of late Gouri Sankar Ray with the help of late Bichitrananda. The Utkal Deepika carried on a vigorous campaign for bringing all the Oriya-speaking areas under one administration, development of Oriya language and literature and protection of Oriya interests. 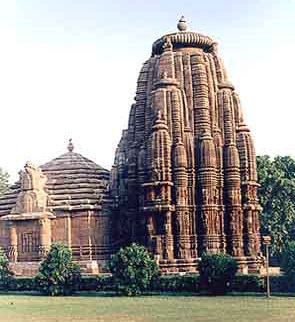 In 1869 late Bhagavati Charan Das started 'Utkal Subhakari' to propagate Brahmo faith. In the last three and half decades of the 19th century a number of newspapers were published in Oriya. Prominent among them were 'Utkal Deepika','Utkal Patra', Utkal Hiteisini from Cuttack, Utkal Darpan and Sambada Vahika' from Balasore, Sambalpur Hiteisini (30th May, 1889) from Deogarh. The publication of these papers during the last part of the 19th century indicated the desire and the determination of the people of Orissa to uphold the right of freedom of expression and the freedom of the press with a view to ultimately fighting for the freedom of the country from the British rule. Utkal Gourab Madhu Sudan edited 'The Oriya' and Dibyaprasanna Roy Choudhury edited 'Navya Bharat' from Cuttack. Another weekly 'Swaraj' which became a daily in 1932 was also published in 1921-22 from Cuttack. In 1928 Sashi Bhusan Rath took another bold step and started the Oriya Daily 'Dainik Asha' from Berhampur on the Oriya New Years Day (Mesha Sankranti). With the publication of Dainik Asha many public-spirited young men got the opportunity to receive the practical training in daily newspaper work . Late Pandit Gopabandhu Das founded Samaj as weekly in 1919 to support the cause of freedom struggle of the country, the Oriya Daily of Cuttack now edited by Manorama Mahapatra. Pandit Das continued his relentless struggle against the British rulers through the columns of the paper and never yielded to any pressure of the British Government. In the Post-Independence Era journalism in Orissa assumed a new direction. From its missionary character of old times it has gained a new momentum for trade unionism. It has attracted many ambitious young men who accepted journalism as an avenue for employment. Dr. H.K. Mahatab's Prajatantra offered this opportunity to employment seekers in journalism. Dr. Mahatab's 'Prajatantra' which first started publication as a weekly from Balasore on 2.10.1923 and ceased publication on 28th December, 1930 in protest against the Press Ordinance of British government again made its re-appearance on the 8th August, 1947 as an Oriya Daily. The 'Prajatantra" played its role effectively during the crucial period of the integration of the Princely States of Orissa with the province under the guidance of Dr. Mahtab who was the Premier of Orissa. As a matter of fact, "Prajatantra" was the training centre for many journalists who occupied important positions in politics and in public life. Another sister paper of the Prajatantra, English Daily, "The Eastern Times" was also published on the 1st of April 1948. The 'Amrit Bazar Patrika' of Calcutta published an edition from Cuttack from the Tulasipur residence of Mr. Biju Patnaik. But it also discontinued its publication after two years. 'Matrubhumi' which was started as weekly in 1947 was made a Daily by its founder Editor Mr. Balakrushna Kar in 1951. In 1960 Mr. Biju Patnaik published another important Oriya Daily 'Kalinga', the then Congress leader of Orissa. This paper went out of existence after 1967 General Elections. On 1st April 1966 . Another Oriya Daily "The Janasakti" made its appearance and continued for about four years. This paper owed its existence to Mr. Biren Mitra, ex-Chief Minister of Orissa. During its short span of existence it had been able to gain popular support and good will of the people. On 24th November 1974 a new Oriya Daily "Dharitri" was added to the family of the Daily Newspapers of Orissa published ownership of under Nandini Satapathy a former Chief Minister of Orissa. Mr. Tathagata Satapathy is its editor now. Currently, while there are only 6 newspapers in English language and only 1 in Hindi, there are 87 newspapers in Oriya. The circulation of daily newspapers is quite encouraging. The daily newspapers are 47, while weeklies and fortnightly are 31 and 12 respectively. This constitutes the whole spectrum of newspaper publication in the state. Another interesting trend in newspaper publication is the place of publication. The publication of newspapers is done in almost every part of the state including the remote towns. While the state capital, Bhubaneswar, is heavily concentrated with the publication of 34 (38.63%) newspapers, the remote towns like Rajgangpur, Nowrangpur, Athagarh, Bolangir and Bhawanipatna have started getting their local newspapers. Cuttack, the cultural capital of Orissa, remains at second position of newspaper publication scenario having 13 (14.77%) newspapers of different frequencies at its credit followed by Balasore, Sambalpur and Berhampur with 6, 5 and 4 newspapers respectively. Besides there are a number of other newspapers published from Orissa. While some newspapers have already ceased their publications mostly owing to their poor financial base and quality, few of them still could retain their continuity in publication amidst much struggle which include: 'Janabhasa' and Kalinga Mail from Bhubaneswar; 'Rastradoot' and 'Ajikali' from Balasore; 'Agnisikha' and 'Dakara' from Sambalpur; 'Yugbarta' from Rourkela; 'Kurukshetra' and 'Matrubhasa' from Cuttack, etc. In addition to the foregoing newspapers, some of the prominent magazines that contained news, features and literary articles have also dominated the publication scenario considerably. These magazines are either attached to the publishers of various newspapers or other publishers apparently because of their sound press infrastructure. Another significant contribution to the field of Oriya journalism is the addition of weekly issues of various magazines usually appended to a daily newspaper. These magazines contain investigative articles on burning problems of the state along with features articles, small write-ups on science and technology, film, music, general knowledge and other entertainment notes. Although, the Eastern Media Ltd., Bhubaneswar started the trend of weekly-magazines for its daily newspaper The Samba', it was followed by other dailies who started such features to attract more readers and to gain revenue. However, the development of newspaper as a mass media in Orissa could not be improved both in terms of quality and quantity to an extent expected. It is due to certain factors, which can be attributed to poverty, illiteracy, rural-based society and absence of reading habits and less political awareness among the people in the state. However, according to Soumya Pattnaik, Editor, Sambad, by adapting and catering to the needs of the readers, vernacular newspapers have every chance of strengthening their base. Orissa was the least urban state in Indian which only 6 per cent of its total population used to live in towns and cities as per 1961Census. The literacy rate during the period way estimated at 22 percent. These two inter-related aspects appear to be very much critical in understanding the slow, yet spectacular change in the penetration of newspapers since the1980s. This sort of changes is witnessed with the immediate rise of daily circulation of newspapers. The proportion of Oriya newspaper readers according to an estimate went from roughly 7 per 1000 to 22 per 1000.By 1992, Oriya circulation newspaper had gone from being the lowest of 12 major languages to being eighth ahead of Telegu, Kannada and Punjabi. Orissa has a great tradition and cultural heritage in learning and literature. If the first hand-written newspaper is believed to be published in Orissa, it can be ascribed that the state of Orissa heralded the cult of journalism. The actual growth of Oriya newspapers, however, can be attributed to strong political affiliations of the respective editors concerned. Due to some reasons or other, politicians took the shelter of newspapers and started one such media under their patronage and control apparently for a say on bureaucracy and the government. As per the estimate of Jeffrey (1997; p.513), eight prominent Oriya newspapers have been started or promoted by politicians, especially in the rank of Chief Ministers. It is obvious for two reasons that (1) the source of advertisement from the State Government can be easily guaranteed by the politicians; and (2) the newspaper can works a mouthpiece for the propaganda of the concerned politician or the political party.' Those who do not offend the right persons sell much of their space', a journalist wrote in 1982.A source for the politician-publishers is not one who whispers news-leaks but one who caught up cash' (Sunhat; 1982; p.3). Such politician-publisher nexus, to some extent, seem to be a blessing for the newspaper industry in Orissa . Advertising made it easy for a good source of income so that the publication of a newspaper becomes easier. With the changing profile of Orissa's position as a developing state in India, there are signs of improvement of Oriya newspaper industry. Although the arrival of television and its wide use has been much talked about, it will not replace the newspapers. Because the demand for newspaper is a continuous one and its rate of growth is increasing day-by-day. With the spread of literacy and increasing information needs of the public, the Oriya newspapers will remain as the most widely accepted medium of mass communication for the state of Orissa. It is asked to show the information of all the traditional and modern Indian press but in the first paragraph the information is about the history of the oriya press.